Pizzas are always exciting. You just can't deny that. And when it comes to chicken pizzas, well, there are so many varieties available in the market lately that sometimes it’s really confusing what to order. 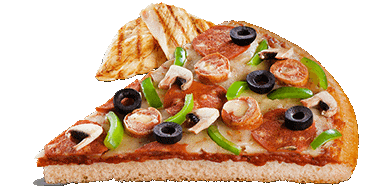 In this blog, I will offer you 7 savvy chicken pizza options, that you may order online or visit your nearest pizza chain to grab one, or two or three… (ha-ha). For those who are quite the serious chicken fans, you know what, this could actually become your summer fav. 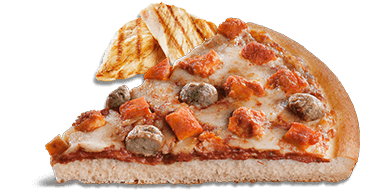 What you get here is an exotic blend of Chicken smoked, chicken salami, exotic double barbecue chicken chunks, ever spicy zesty meat chunks and the inevitable chicken sausages! All of these extravagant non-veg toppings blending perfectly into that pool of hot melted cheese will capture your heart right away. 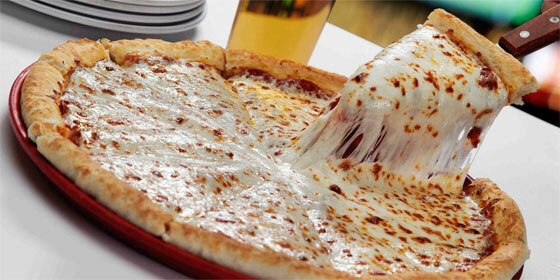 You surely term this pizza as the one that truly dominates your taste buds. Chicken Salami is a one of a kind appetizer. And when combined with Pizzas, you are definitely in love again. 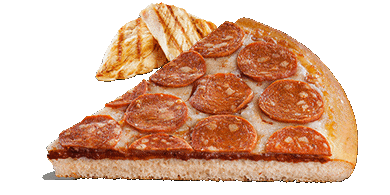 (Mark my word).This Pizza offers an exquisite combination of mozzarella cheese with hot and fresh seasoned chicken salami. What’s not to love, don’t you think? The perfect sign that can be displayed with this particular pizza would say “Hot stuff! Handle with extra care!” It’s zesty, because it really is! Offering you a monstrous combination of extremely spicy chicken with red pepper and that enigmatic cheese; simply Smokin! 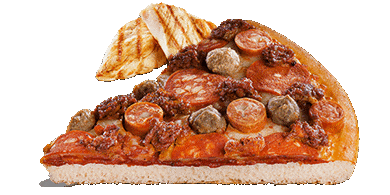 If you are a fan of that extra punch, you ought to try this one helluva pizza! Value for money and perfectly apt to quench your urge to eat non-veg, Chicken Tikka Treat is definitely one of the most delicious pizza I have ever had. What could possibly go wrong when you receive this magnificent combination of Chicken Tikka, Capsicum, Onion and Mushroom popping out of that mouth-watering cheesy ocean! All right, deciding the final top three was difficult. Anyways, Chicken Italiano would be the third in the line. Incessantly, a true Italian Pizza, what I’d like to connote this pizza as. When done right, the combination of Chicken Pepperoni, Chicken Sausage, Mushroom, Capsicum and Black Olives will present you something similar to those old school Italian pizzas. 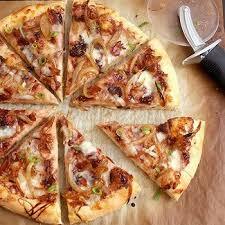 If you’d ask me, I’d say go thin crust when you order this one, you will be amazed if not already! This pizza is literally another perfect summer hunger quenching bomb! Heavy as it is, this pizza can be a great hunger quencher, perfect for get together and family time outs. What you get here is the supreme combination of Chicken Tikka, Chicken Hot & Chilly and Chicken Meatball swimming in a pool of exotic cheese. Go cheese burst when you order this one, will make more sense that way. Lastly the ultimatum, had to be this one. 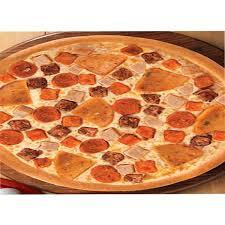 In India, no food chain has offered me anything more intriguing than this pizza. A ravishing combination of well cooked Chicken Meatball, Chicken Pepperoni, Chicken Sausage and Chicken Keema will leave you craving for one more. 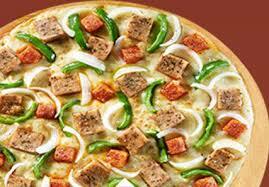 Let this Summer time be extra special with loads of chicken pizza delights. Now go ahead and offer a healthy, tasty and fun-filled time to your folks and friends, and most of all, yourself! Let joy reach your home in the form of exotic chicken pizzas and may there be smiles around!